The best part about the MegaDumper™ is that it’s fully customizable. A custom MegaDumper™ can be modified to empty bins of unusual sizes or shapes. 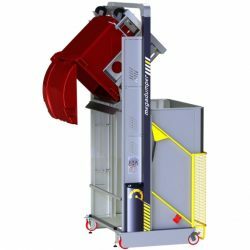 Call our sales team at +1 314 423 2075 to find out how a MegaDumper™ can improve safety and efficiency in industrial settings.